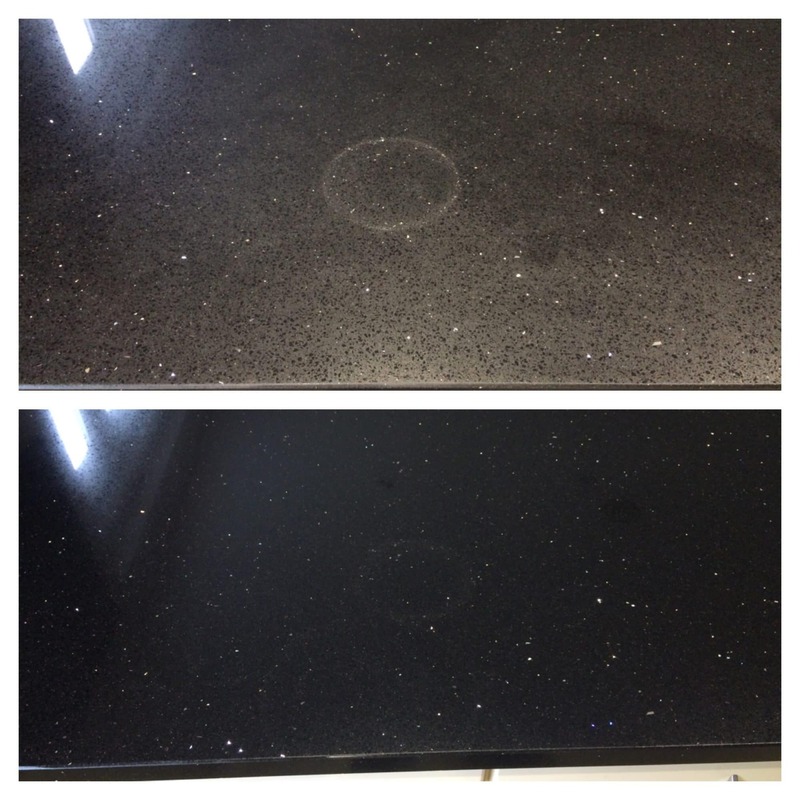 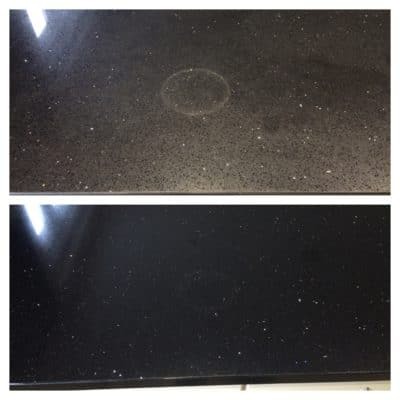 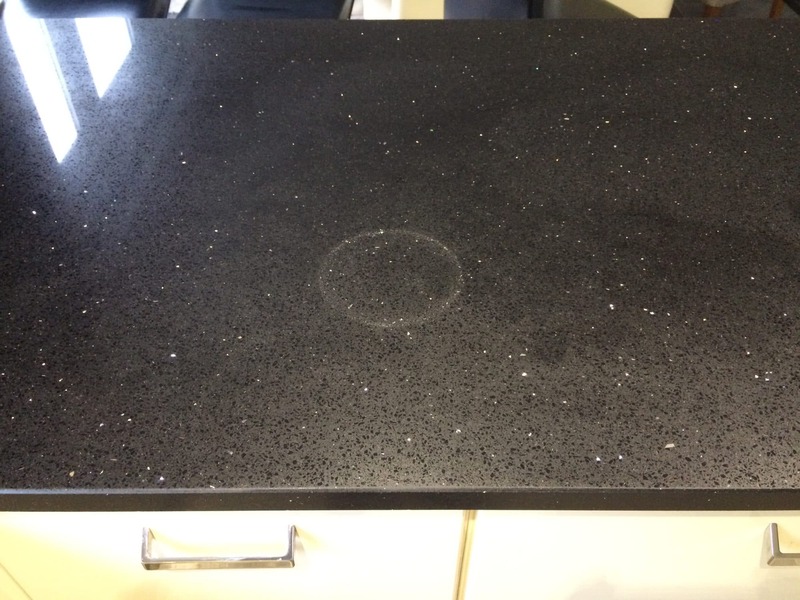 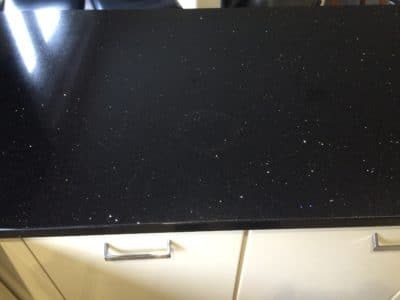 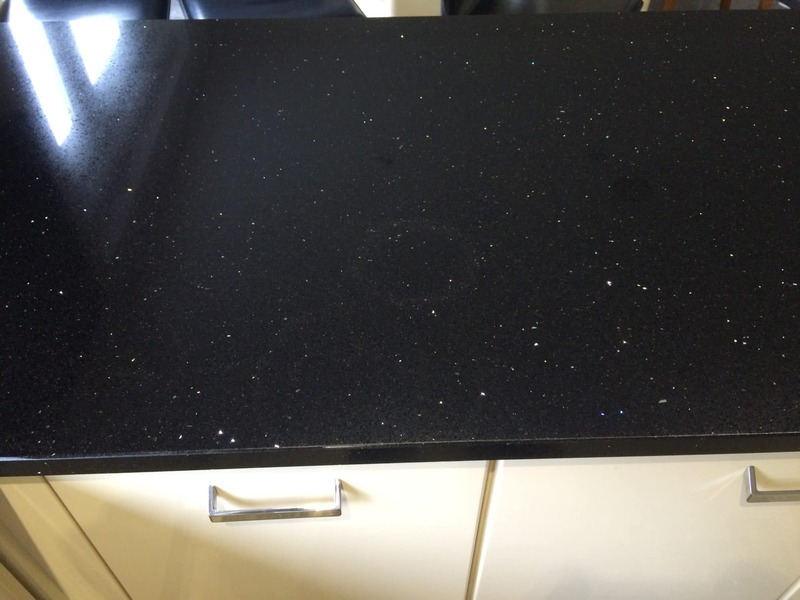 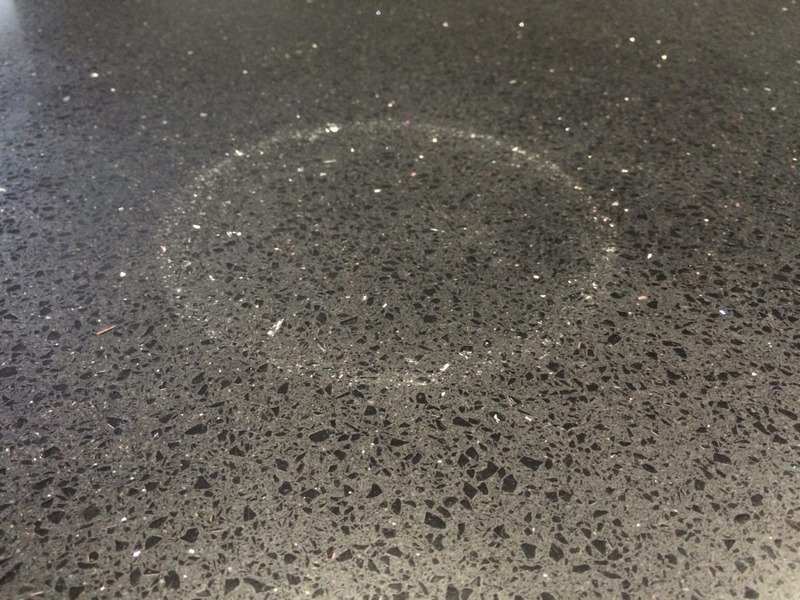 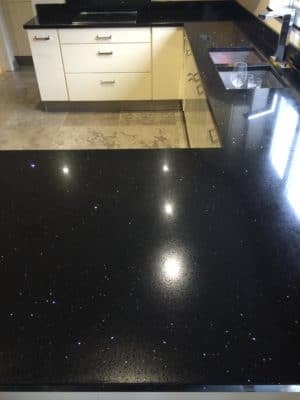 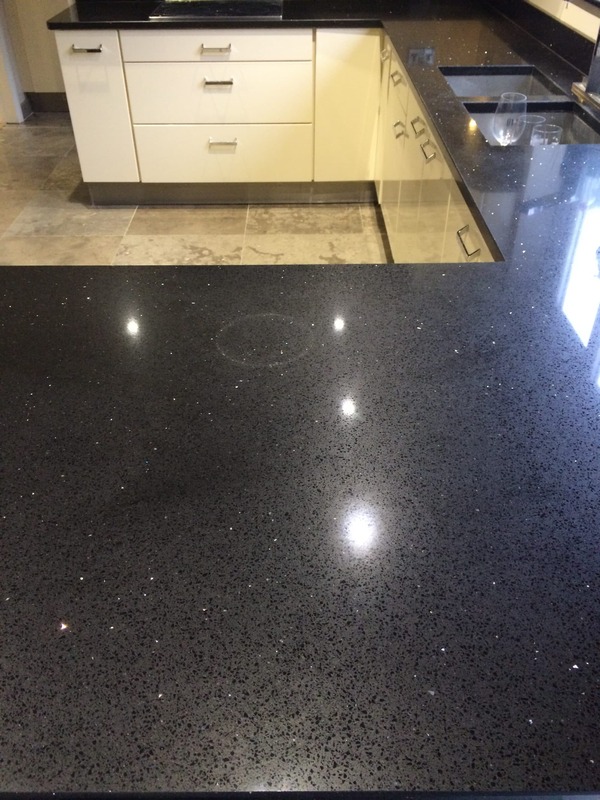 This engineered stone (Quartz) kitchen worktop suffered a ring stain caused by a hot cast iron frying pan that was placed on the stone straight from the hob. 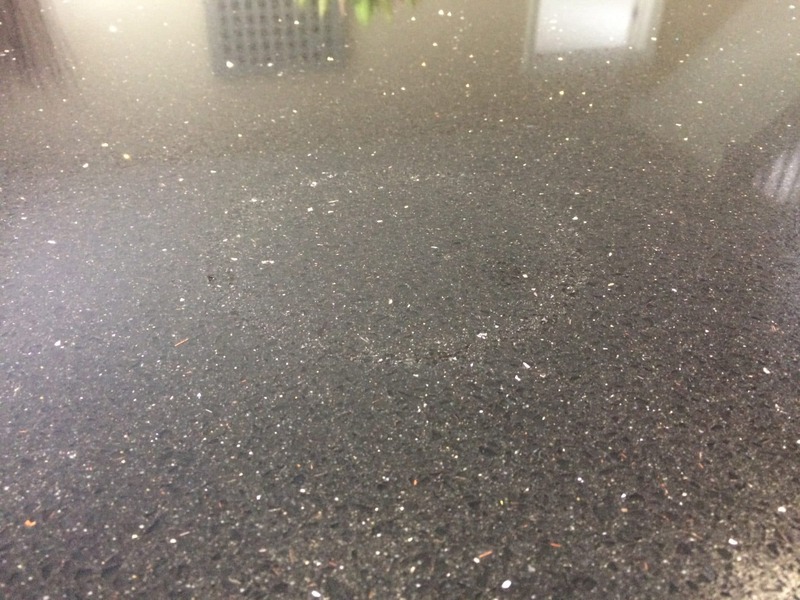 The resin holding the stone particles changed colour from the heat and the only way to restore it was to colour treat the entire kitchen. 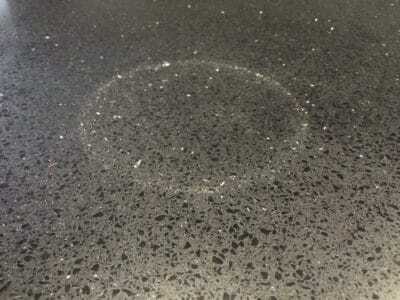 A close up view of the heat mark shows the discolouration of the stone where the pan's edge came in contact with the stone.